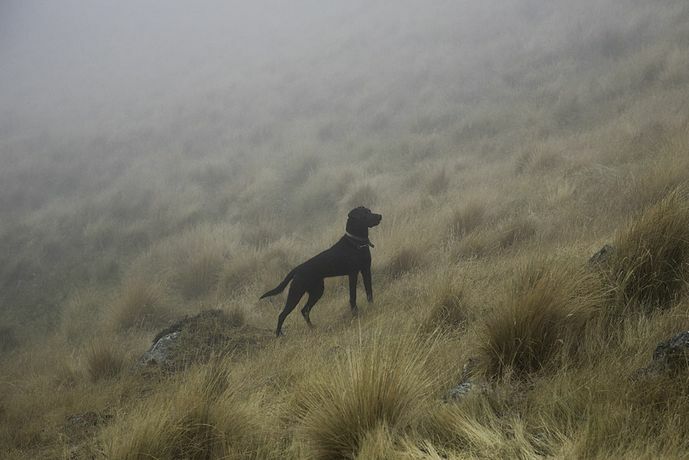 Andrew Fladeboe’s "The Shepherd’s Realm: The Dogs of New Zealand and Norway". 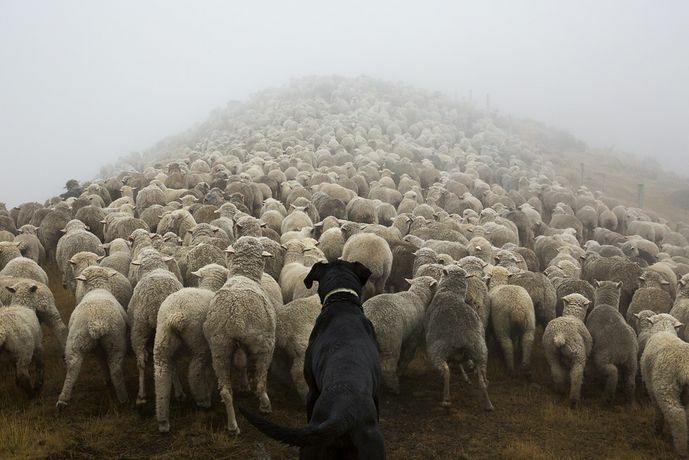 "The Shepherd’s Realm" is a multi-part photographic series consisting of portraits of working dog breeds set against striking landscapes. This is the gallery’s first solo exhibition of Fladeboe’s work and the third installment of Peter Hay Halpert Fine Art’s exhibition series at Site 109 in Manhattan’s Lower East Side. The result of extensive international travel, the exhibition features ten photographs taken in New Zealand as part of a Fulbright scholarship, six produced in Norway, and one early photograph from the series taken in Scotland. Inspired by the tradition of British animal portraiture, Fladeboe’s images reference the eighteenth-century paintings of George Stubbs and the nineteenth-century canvasses of Edwin Landseer. The Shepherd’s Realm has much in common with the artistic practices and scientific investigation of the Victorian era. The work draws from the ideals of Romanticism and celebrates the beauty of the natural world through sublime landscapes and embracing the raw experience of nature by emphasizing emotion through aesthetics. As Fladeboe points out: “The camera is also an instrument of science and facts. I want to illustrate these animals in the way they truly are.” In this manner the series merges the traits of Romanticism with the scientific and documentarian elements of Realism. While this pairing might seem like an oxymoron, it fits with the Victorian era’s pursuit of the wondrous beauty of nature comingling with the scientific: “My work inhabits the realms between the accurate portrayal of nature and the emotional qualities of it,” says Fladeboe. Fladeboe’s pictures have been featured in publications including American Photography, The Vice Photo Book, and the forthcoming Identities Now: Contemporary Portrait Photography. The Shepherd’s Realm has been showcased on numerous online publications including National Geographic,Slate, Buzzfeed, and The Telegraph. 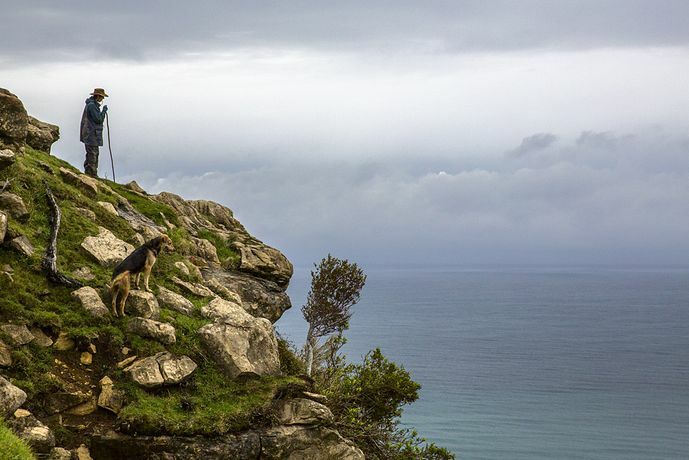 He is a graduate of the Rhode Island School of Design and was awarded a 2014 Fulbright grant for photography in New Zealand. Fladeboe travels around the world to capture and exhibit his portraits and to work on private commissions.